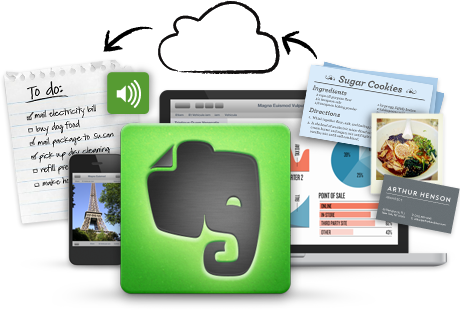 I’ve been using Evernote for a few years now. It’s a free software that can be downloaded (there’s a premium addition that costs a little, but the free version works for my needs), and I have found it invaluable to help me keep track of notes on characters, world building items, notes for blogging, and even notes for my web design stuff. I can also paste images into a note or website address. Heck, I’ve even used Evernote to write and store snippets of scenes so I can keep them in a safe place until it’s time to put the snippets in the actual story. Evernote is great because if I have a stray thought I want to make sure I keep, I open up the program (though usually it stays open in the backdrop) and just type the thought real quick and get back to work. I also have the Evernote app loaded on my phone, so if I am away from my computer I can jot that urgent piece of information down and I am good to go. And the best part about Evernote, is that it saves everything automatically. No need to hit the save button! Granted, I’ve had the program installed on my computer for awhile, but it hasn’t been until the last few months that I’ve really put it to use and I wonder why I never used it as much before. Maybe I’m taking more notes and they are more on the fly than before? Maybe since I’ve gotten back into web designing my head is everywhere all at once and it’s hard for me to keep track of everything? Don’t know exactly, but without keeping notes, I’d be totally lost by now. So if you are having a hard time keeping track of notes or are looking for a good note taking software, I highly suggest this program. I love it and am glad to have it as a tool in my writing tool box.